Attendees will enjoy unique and out-of-the-ordinary sessions, listen to inspiring keynote speakers Bill McKibben, Mustafa Santiago Ali, and Mary Robinson, and gather with a global community of changemakers in regenerative design. LF19 is where big ideas gain momentum; join the movement today! To register and to learn more about the conference, speakers, and sessions, visit unconference.living-future.org. 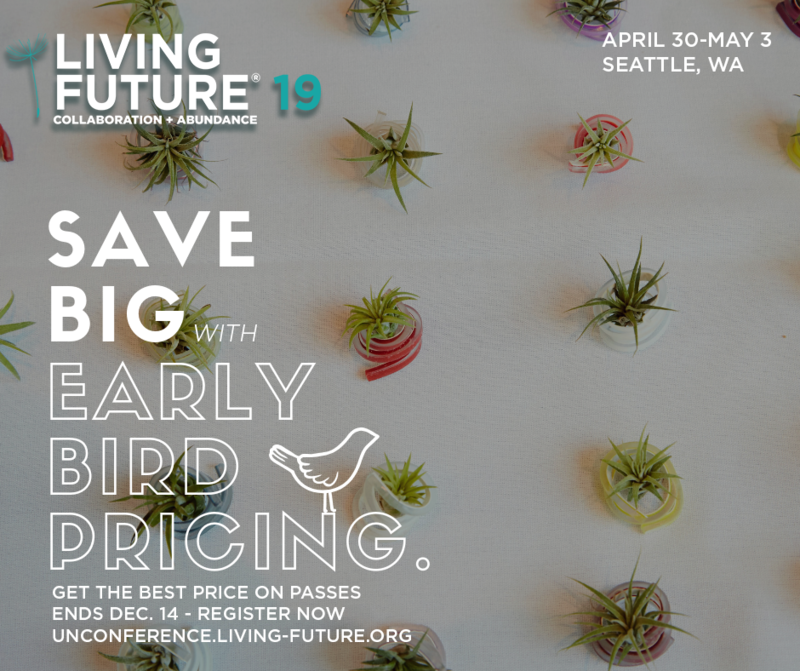 Let us know when you’ve registered by using the hashtag #LF19!